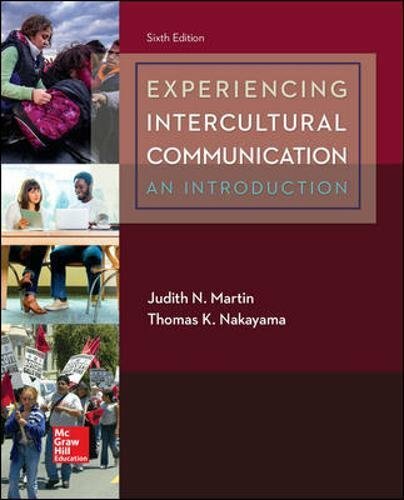 1259870561 -The sixth edition of Experiencing Intercultural Communication, An Introduction provides students with a framework in which they can begin building their intercultural communication skills. By understanding the complexities of intercultural communication, students will grow in their professional endeavors and personal relationships. The unique backgrounds of coauthors Judith N. Martin, a social scientist, and Thomas K. Nakayama, a critical rhetorician, bring a distinctive perspective to this thought-provoking subject matter. The Connect course for this offering includes SmartBook, an adaptive reading and study experience which guides students to master, recall, and apply key concepts while providing automatically-graded assessments.